Jon Rabe — Reno, NV . It’s got a 496 big block to help push around the massive weight of the equipment inside. 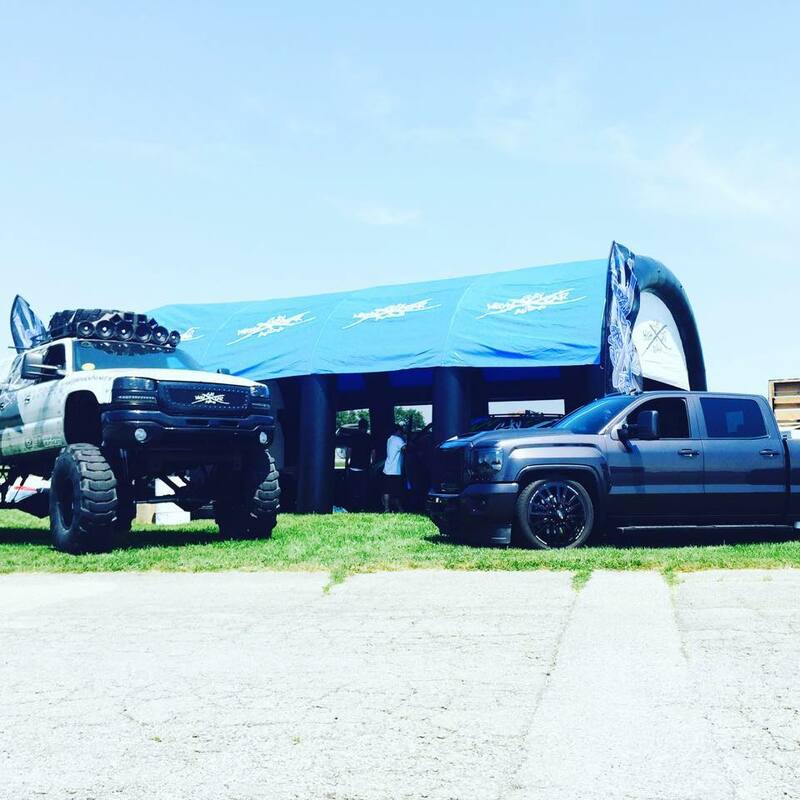 It’s got a straight axle swap up front with 19″ of lift, Dana 60 and 5.13 gears. 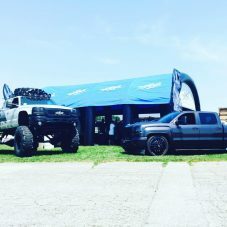 In the rear its got 16 in of lift with a AAM 14 bolt also with 5.13s. 45.5″ Michelin military tires on 20″ Moto Metal rims. Its got custom exhaust, intake, tuner all the regular stuff on the motor. This thing epitomizes monster bass. 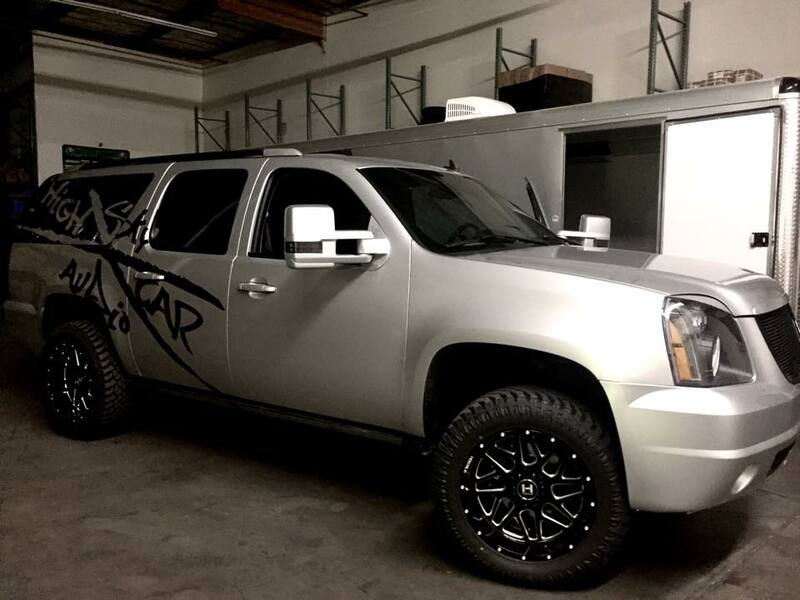 To start the GMC has 6 of the worlds only DC Audio Level 6 15s. Each sub has custom machining to make them work as intended. They are mounted in a flat wall about a foot behind the B pillar. 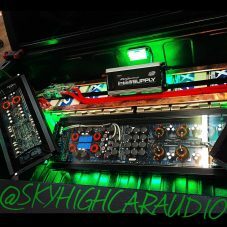 Pushing those subs we have 3 DC Audio 10ks. 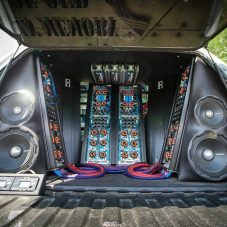 There are 2 DC Audio 8s in the custom fiberglass console pushed by a DC 1.2k. For mids, it has 8 8″ Crescendo PWXs and 8 6.5″ PWXs pushed by 2 DC Audio 175.4s. The highs consist of 8 Crescendo FT-1s, also pushed by a DC 175.4. 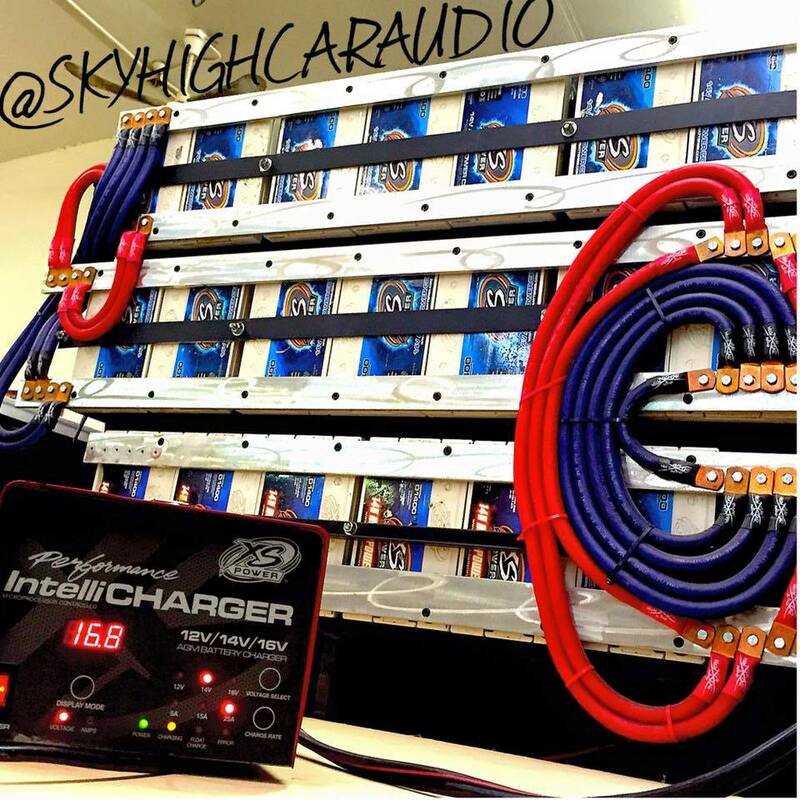 Its got full custom door panels built by Sky High Car Audio that hold 4 6.5s, 4 8s, and a DC 175.4 per door. We moved the window switches and door poppers (bottoms) to the console. Its got an iPad 2 in the dash, also a PIoneer 4500 in the console that all go through a Rockford 360.3 to process the sound. 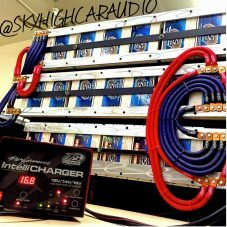 Power for all this is generated by 2 Mechman 270s (not the easiest to do on a big block), going through Sky High Car Audio Cable to a bank of 24 XS Power D1400s. We also have an XS VCM on there to help keep those D1400s charged. Now that the rear diff and driveline are out of the way thanks to the lift we had a ton of room to get those batteries under the bed between the frame rails. 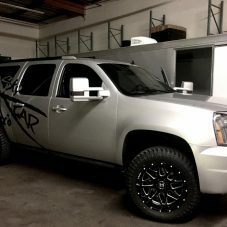 Its got a full custom headliner which matches the outside of the truck and all the amps. We mostly go to shows to demo, if you see us at a show don’t be scared to come ask for a demo. 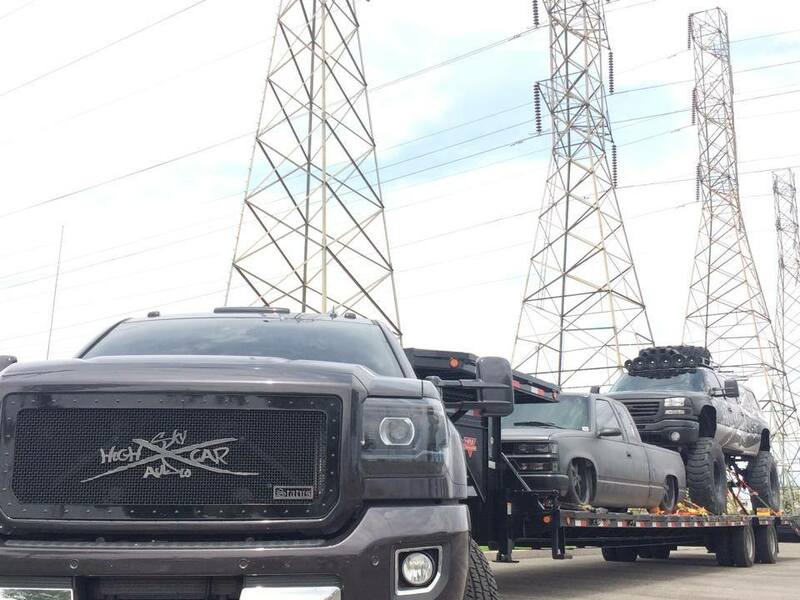 Your faces make all the work put into this truck worth it. We also do bassrace, bass boxing and burps once in a while. Loudest tow vehicle in the world?? 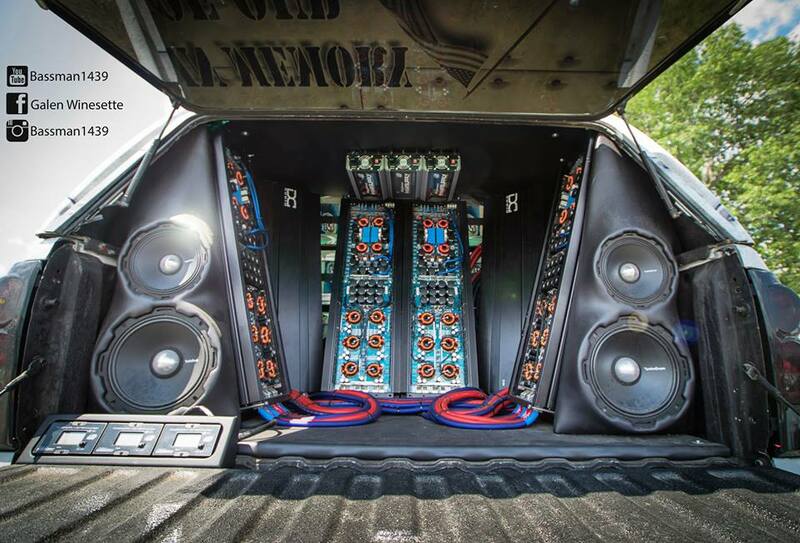 …you might see this truck pulling the DC Audio comp van across the west coast. 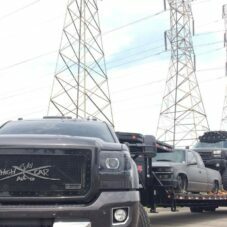 Its rare to see something this big pulling a 13,000 pound trailer without a sweat then pushing 160 db its really a one of a kind vehicle that we are very proud of.